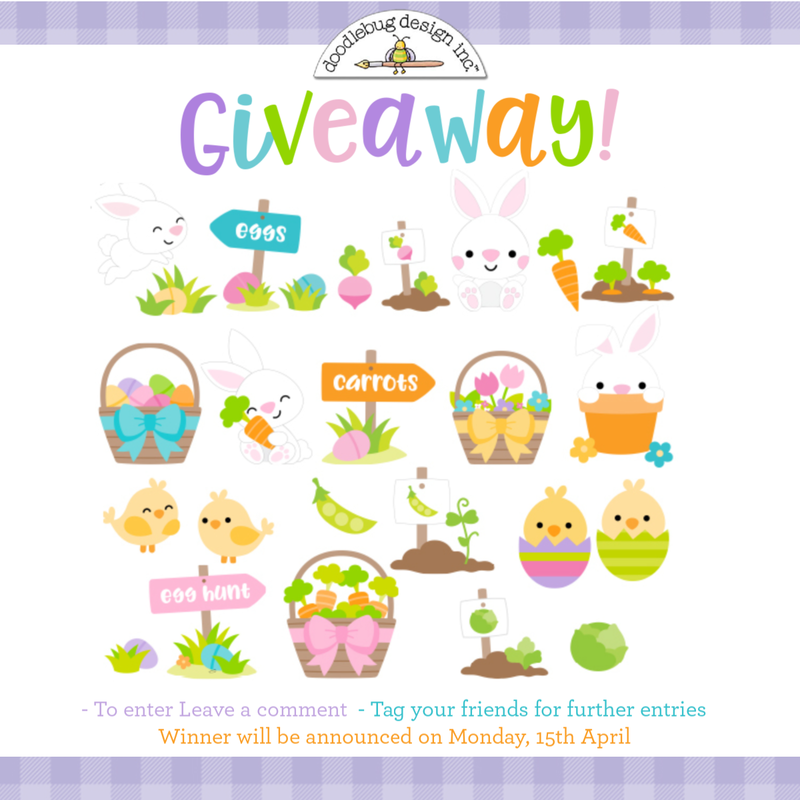 Doodlebug Design Inc Blog: GIVEAWAY | Hoppy Easter Cut File Collection! Would you love to own the entire Hoppy Easter Cut File collection? Such a cute collection-thanks for the chance to win! These images are the cutest! Adorable images...and I love the colors! Doodlebug is one of my all time favourite companies. They always come out with such cute designs. No exception here with the cute Easter cut files! I would love to win this set. It would be so cute to use these for Easter decorations and scrapping. Thanks for the chance to win! Beautiful and colourful as ever, thanks for the chance to win. These are so cute. Love Doodlebug! OH YES!!! I would so LOVE to win these files...they are so Adorable - I would use them over and over again!! I love this collection! Love the adorable images and bright and cheerful colors. Thanks for the chance to win! I really love those cute bunnies and chickens. Love Doodlebug! Always cute products. Thank you!